Are you looking for self-catering flats in London? At Carlton Court, we have a superb selection of luxurious serviced apartments for you to choose from. If you are travelling in a group of 5 or 6, you can take a look at our fully-furnished 3 bedroom flat, which is spread across a sprawling 1615 sq. ft. Undoubtedly, our three bedroom flats will offer you more space, freedom and privacy than a traditional hotel room. Not only that, there are other factors that make us the best serviced apartment providers in London. Take a look below. Carlton Court is conveniently located in the heart of London in Mayfair, which is considered to be one of the safest areas of London. From the window of your apartment, you can watch the who’s who of the Tinseltown and the business world walk by. Also, popular tourist attractions, such as Buckingham Palace and Hyde Park, local shops and major business centres are within walking distance from our apartments. The close proximity to London’s public transportation networks is something that you are surely going to enjoy. 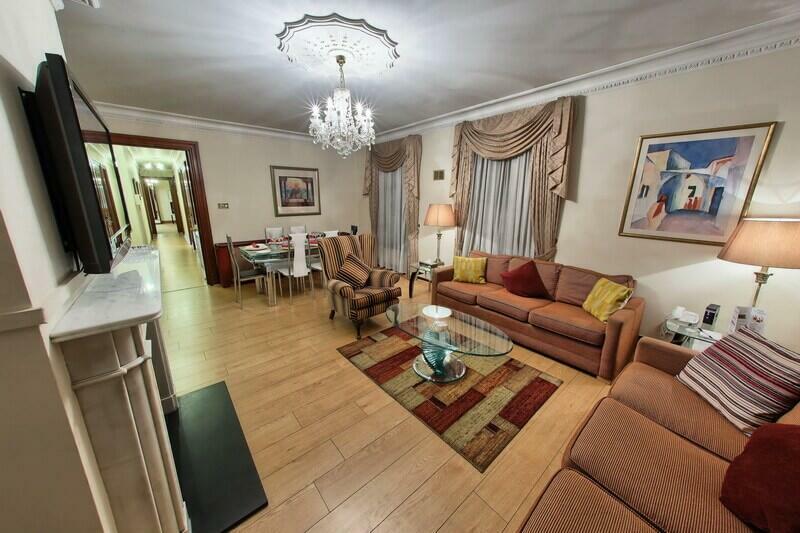 If you are looking for lavish 3 bedroom apartments in Mayfair, staying at Carlton Court will be perfect for you. Our apartments are fully furnished with everything you need for a comfortable stay, such as opulent sofa sets, comfy beds, en-suite bathrooms with power showers and fully-fitted kitchens with state-of-the-art appliances. We know how to make you feel at home! Not only will you be able to enjoy a separate living and dining area, but also our apartments are equipped with FREE Wi-Fi, LCD TV with full sky HD pacakges in multiple languages and much more. We provide housekeeping, security and concierge services 24 hours a day 7 days a week to take care of your every need. Get in touch with Carlton Court to sort out your next visit to London and make your short or long stay memorable, as well as, affordable.